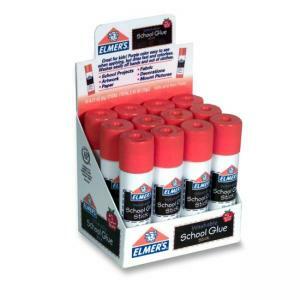 Safe, nontoxic glue stick provides no-mess bonding. Perfect for paper, photos and fabric. Wipe excess with damp cloth. Washes out with soap and water. Handy twist-up cap. AP approved.